The Norwegian teenager beat his two older brothers and a stacked field to win the middle-distance title in Berlin. 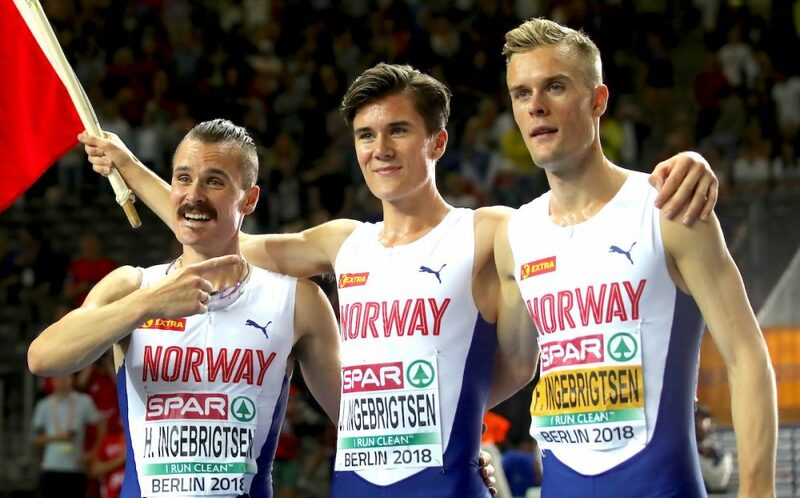 Jakob Ingebrigtsen showed age is only a number as he delivered a performance beyond his teenage years to take victory in the men’s 1500m final at the European Championships on Friday (Aug 10). The 17 year-old led after 800m and maintained his commanding position at the front as his experienced rivals jostled for positions down the home straight, before taking gold in 3:38.10. Ingebrigtsen, who earlier this year beat USA Olympic and world medalist Paul Chelimo and reigning Olympic 1500m champion Matt Centrowitz at the Payton Jordan Invitational, looked assured throughout the metric mile race to finish ahead of his older brothers, 2016 European champion Filip and 2012 European champion Henrik. Over the final 400m the youngster ran 53.64, and according to IAAF’s Jon Mulkeen, that time would put the European middle-distance champion inside Norway’s top 50 under-20 400m runners this year. Ingebrigtsen also clocked 1:51.27 over the final 800m and that time would rank him 12th on the Norwegian under-20 all-time list. 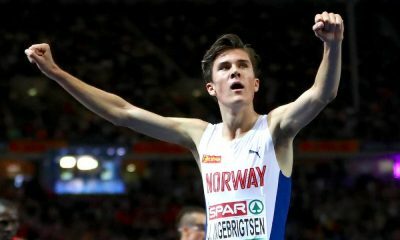 At the age of 17, Ingebrigtsen has dominated European junior athletics, winning two under-20 cross country titles, under-20 5000m and 3000m steeplechase gold and under-18 1500m gold. In terms of records, he is the holder of the fastest ever European under-20 1500m, mile, 3000m steeplechase and 5000m records. 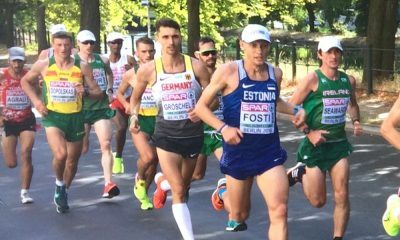 Last year the teenage star chatted to Fast Running about his goals and family rivalry saying: “I want to be the best runner in the world and I will do everything to reach that goal. If that’s not my goal, then I don’t think all the sacrifices are worth it to finish second. Behind the Norwegian star, Great Britain’s Jake Wightman finished superbly in the closing stages to clinch bronze in 3:38.25, just behind Poland’s Marcin Lewandowski in 3:38.14. Henrik Ingebrigtsen finished fourth, while GB’s Charlie Da’Vall Grice was fifth, with teammate Chris O’Hare ninth. The defending champion Filip Ingebrigtsen finished 12th. 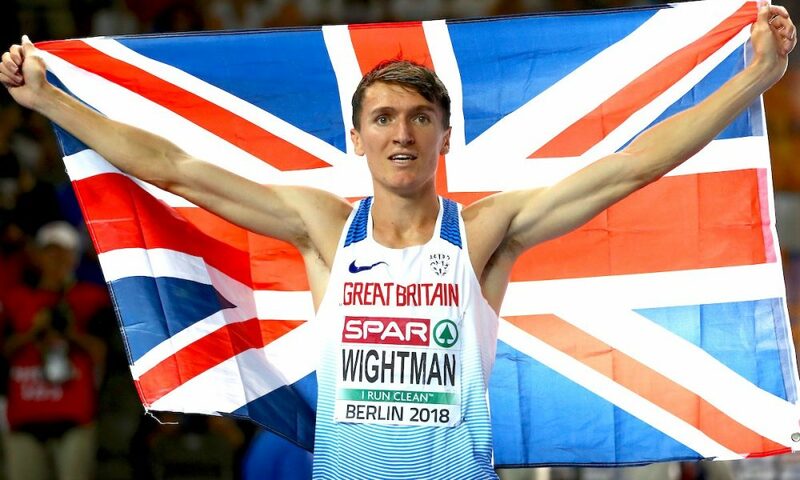 It was a great bronze medal from GB’s Wightman in third, who add another major medal to his Commonwealth Games bronze won for Scotland in April. “I’m relieved to be fair,” said Wightman afterwards. 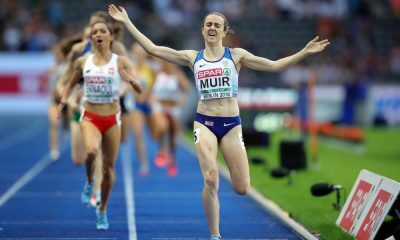 “That was the most pressure I’ve put on myself at any championships – you have no idea what’s going to happen and the way people have been running up to this point. 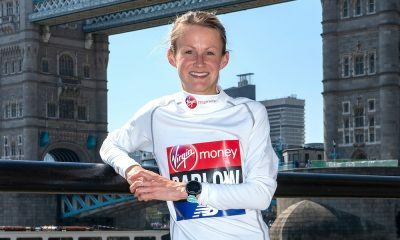 “It meant that it was a pretty exciting race for people to watch and it was a pretty amazing experience going into the final 100m with us Brits and the three Norwegians attempting to win it, and if you ran that race 100 times there would be 100 different outcomes. Earlier this year, Wightman also won his first British title at the GB Indoor Championships in February.